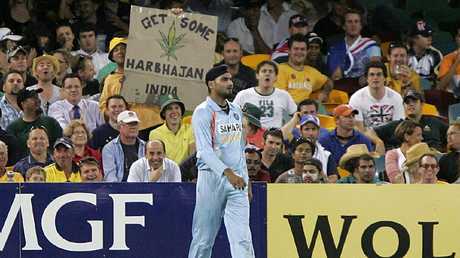 The Gabba fans show their appreciation for Harbhajan Singh. 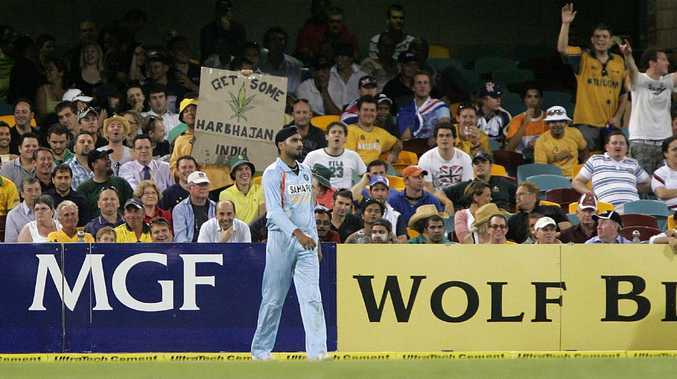 That quote from the movie "Anchorman" when the character Wes Mantooth confronts newsreading rival Ron Burgundy could well sum up how Aussie cricket fans feel about Indian captain Virat Kohli. He's not the most likeable chap. But he can play. He can really, really, really play. Just check out that footage of him batting in the Adelaide Oval nets this week. So here is the Wes Mantooth XI - the team we pure, straight hate but goddammit, do we respect them. As far as annoying Poms go, he is right up there. Led England to the drought-busting 2005 Ashes victory and still hammers Australian cricket on social media. 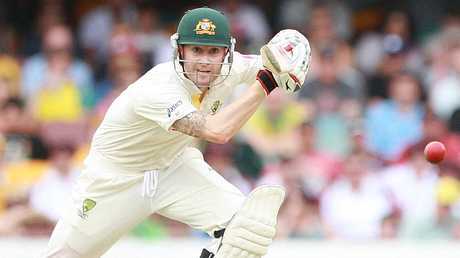 5719 runs at 41.4 in 82 Tests, with his best form often saved for Australia. 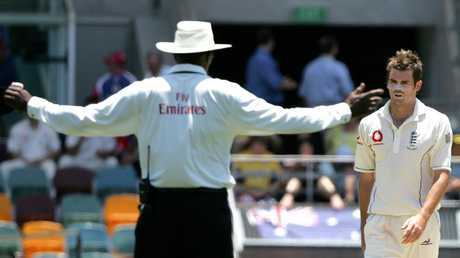 Sure, Michael Clarke is an Aussie, but he’s easy to dislike. OK. He's an Aussie. But let's be honest, if he wasn't an Aussie, imagine how much we would have hated him. A lot of people still don't like him regardless of the coat of arms on his passport. The fast cars, dyed hair, ear rings, disputes with teammates, the awful TV commentary. Where do you stop? Whacked 8643 runs at 49.1 in 115 Tests so he could bat. At least he is not behind a mic this summer. Hooray! Virat Kohli is bloody good at cricket. He’s just a bit of an arrogant tool. TALKS the talk and walks the walk. A genuine bona fide superstar who is well aware that he is a genuine bona fide superstar. Plays better when opposition teams poke the bear and he doesn't mind poking back. Before the Adelaide Test, he had 6331 runs at a very handy clip of 54. Faf du Plessis. Loves a mint. 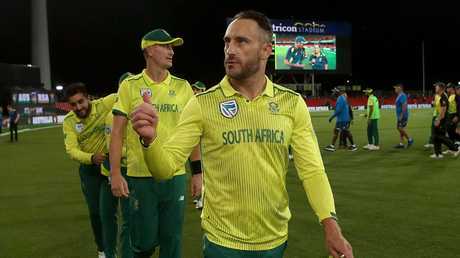 The South African captain plays the role of the villain perfectly. Loves his lollies and enjoys needling the Aussies every chance he gets. 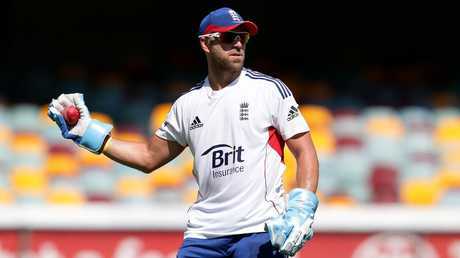 Terrific captain and more than handy batsman who can save a Test with resolute defence or win one with attacking flair. 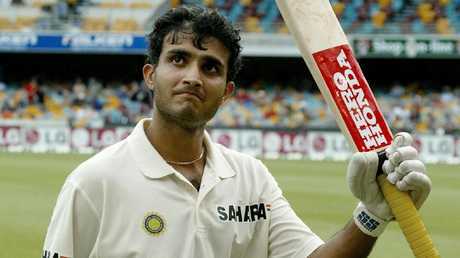 Sourav Ganguly. Fun name. Infinitely unlikeable. Could bat - 7212 runs at 42.2 across 113 Tests. But saved his most annoying work for his abrasive and arrogant captaincy style that infuriated the likes of Steve Waugh. Not a fan of Greg Chappell either. Beefy with some of his pasty mates. Beefy was the Pom we loved to hate in the 1980s. He didn't like us all that much either and wasn't afraid to say so. The showman won matches with the bat and ball (just look at the stats from the 1981 Ashes series in England), averaging 33 with the bat and 28 with the ball across 102 Tests. Devastating in full flight. Richard Hadlee carried the New Zealand cricket team. 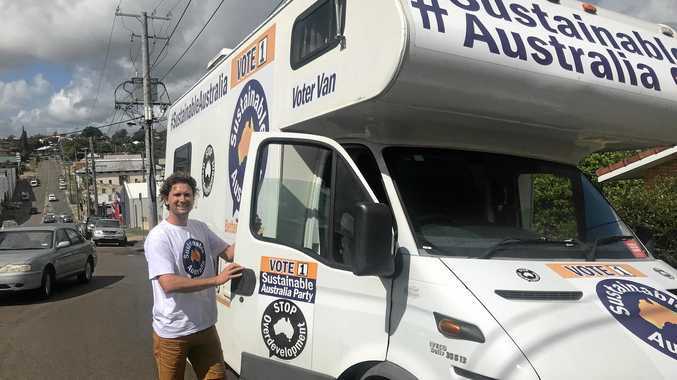 Also a bit of a wanker. 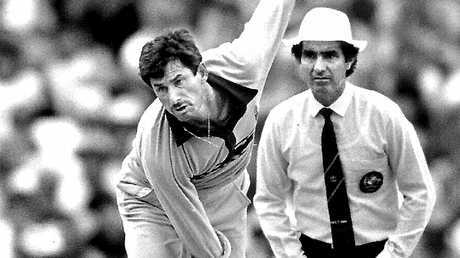 Remember the "Hadlee's a wanker" chant that rang out around Australian grounds during the 1980s? He didn't like it, said so and the chants intensified. Didn't stop the Kiwi quick ripping through Aussie batting line-ups with his masterful control. Took 431 Test wickets in 86 Tests at an incredible 22.3. Averaged 27 with the bat too. Carried New Zealand cricket with his entire career. Matt Prior was a good cricketer who had a deep fear of Mitchell Johnson. The one-time Pommy keeper carried on like a pork chop last year when Nathan Lyon said English players were "scared" and wanted to go home during Mitch Johnson's reign of terror in the 5-0 clean sweep of 2013-14. They were and they did! A combative South African who played for England (that's two strikes straight away), he averaged over 40 with the bat and had more than 250 victims with the gloves. Just walk mate, you smashed it. 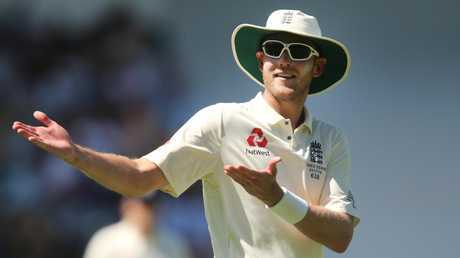 Apart from whole non-walking thing, Broad generally doesn't endear himself to anybody outside of England. Doesn't seem to worry him though. Can send them down, 433 wickets in 124 Tests at 29 tells you that. Jimmy Anderson bowls a rare bad one at the Gabba. Lippy but zippy. The Pommy paceman loves a sledge as much as the devastating outswinger that carves up batting line-ups, especially in English conditions. 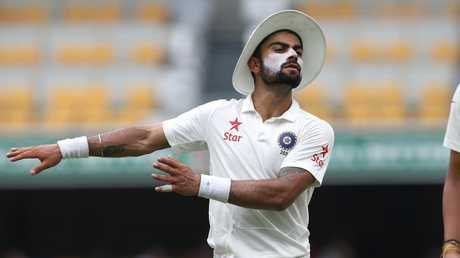 565 wickets at 27 in 145 Tests makes him an all-time great. Unfortunately. 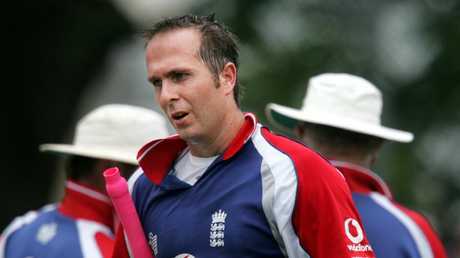 Matt Hayden once described the Indian off-spinner as an "obnoxious weed". Whack! Fair to say Andrew Symonds was not a fan either. A central figure in the "Monkeygate" scandal 10 years ago when relations between Australia and India plummeted to an all-time low. But a hell of a bowler with 417 wickets from 103 Tests.